Pilgrim c’est pèlerin en français, nous ne savons pas pourquoi Hideki Nishi et Terumitsu Saito ont nommé leur deuxième restaurant Pilgrim, le premier c’est Neige d’été qui avait obtenu une étoile au Michelin en 2016. 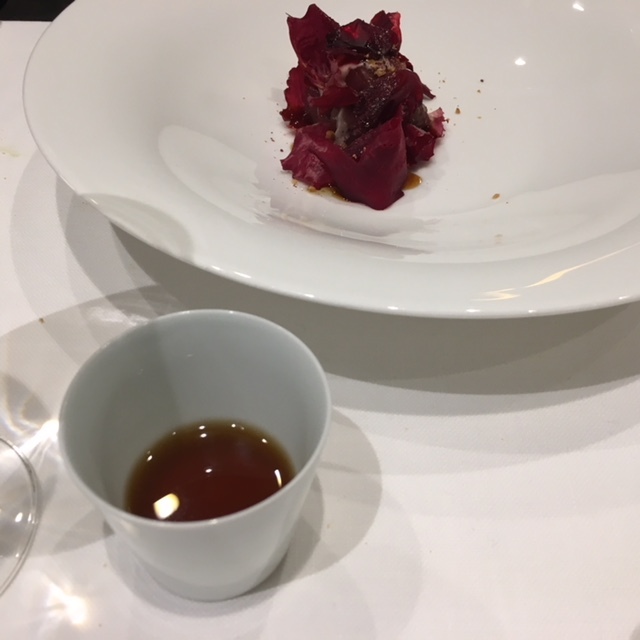 Hideki Nishi et Terumitsu Saito sont peut-être les nouveaux pèlerins de la cuisine française ; en tout cas, ils le font avec de belles manières et beaucoup de subtilité et de finesse. 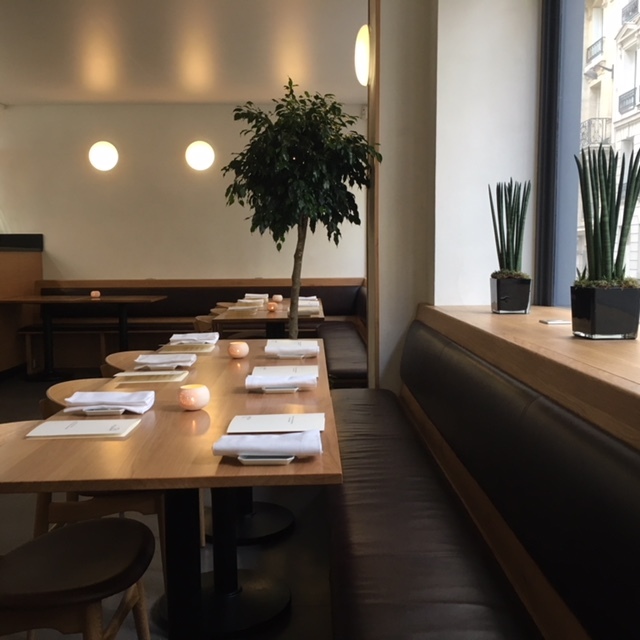 Dîner chez Pilgrim c’est accepter le menu à 75 euros imposé par le chef en sept séquences pour toute la table. 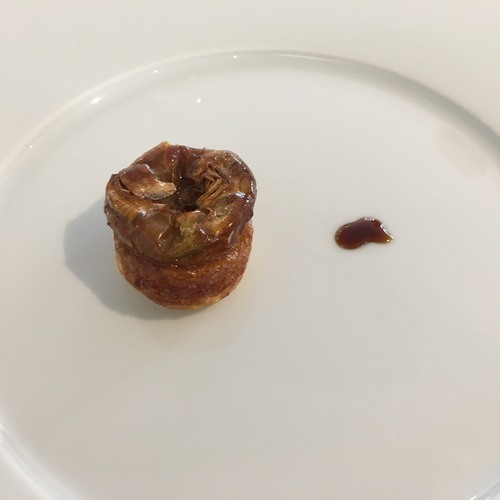 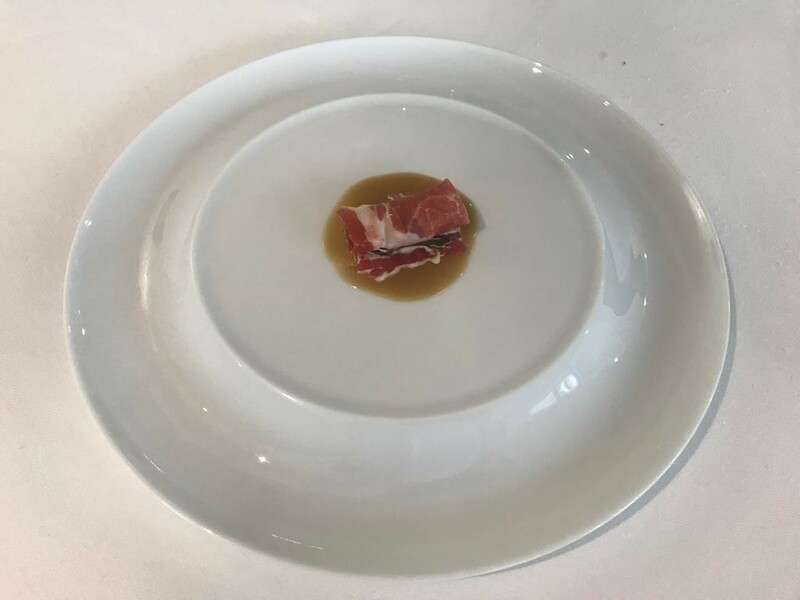 On commence avec un amuse-bouche rafraîchissant sous la forme d'un mini pot de flan de petits pois. 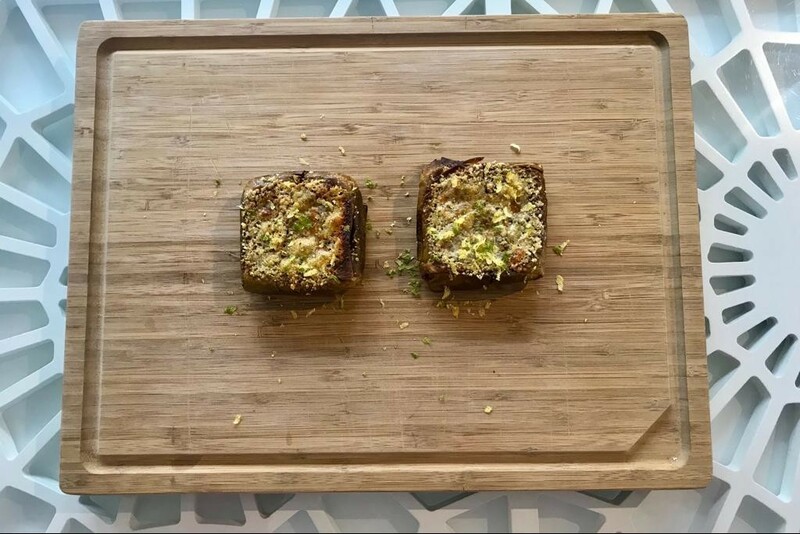 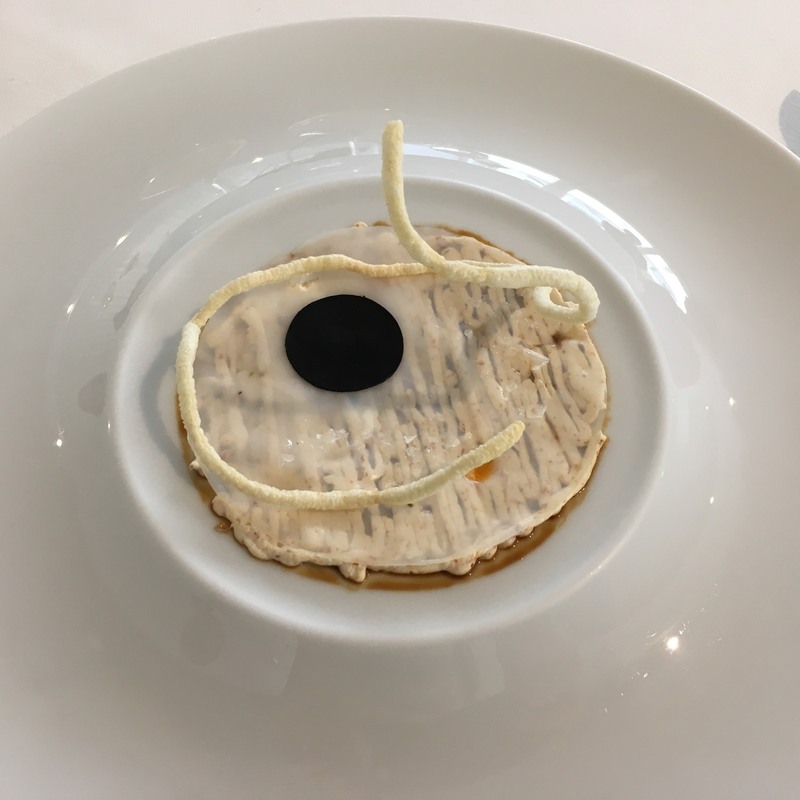 Vient ensuite le tartare de Saint-Jacques accompagné d'une cuillère de caviar Sevruga ; un œuf confit mollet noir (!) 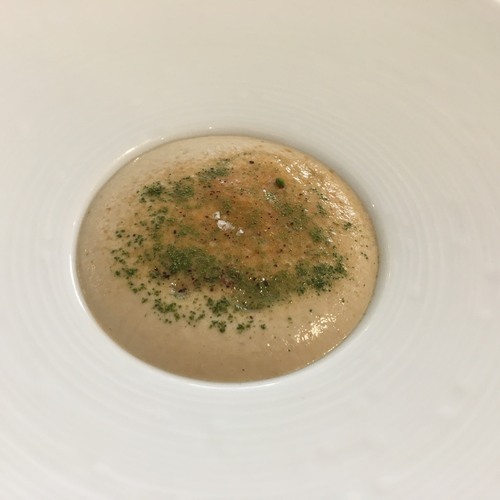 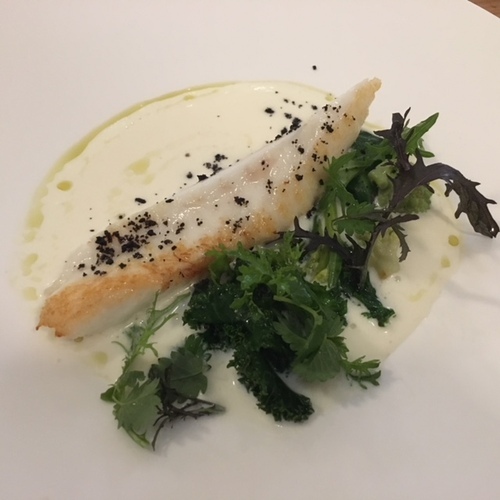 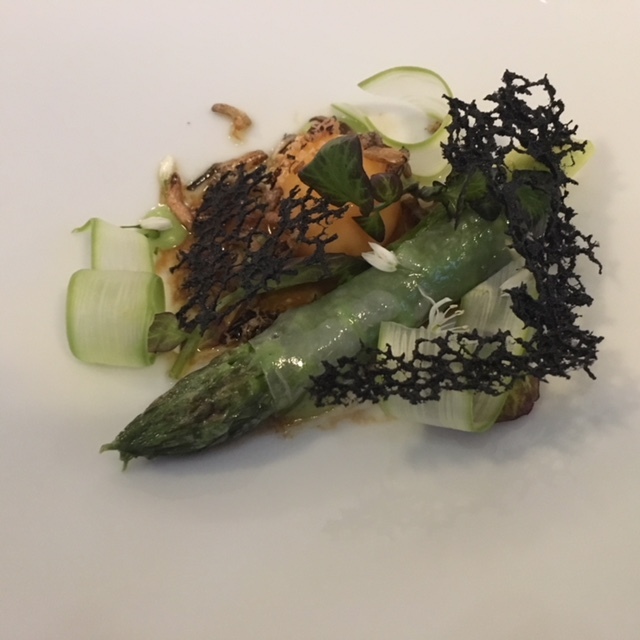 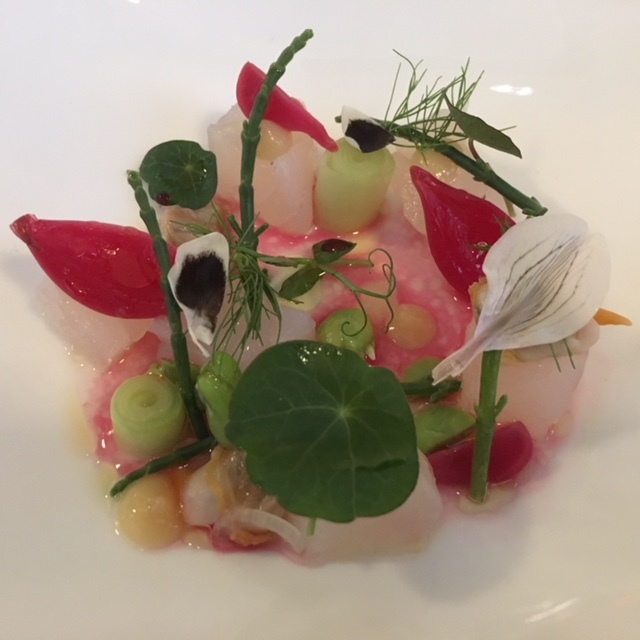 en tempura et crèmes de panais et l'asperge verte ; un lieu jaune parfaitement composé avec la précision d'un artiste peintre ; Le Saint-Pierre en cuisson millimétrée avec son bouillon de crème de coquillage à se damner et pour finir les plats salés un canard de Barbarie grillé au charbon de bois japonais (Binchotan), avec déclinaison de salsifis. 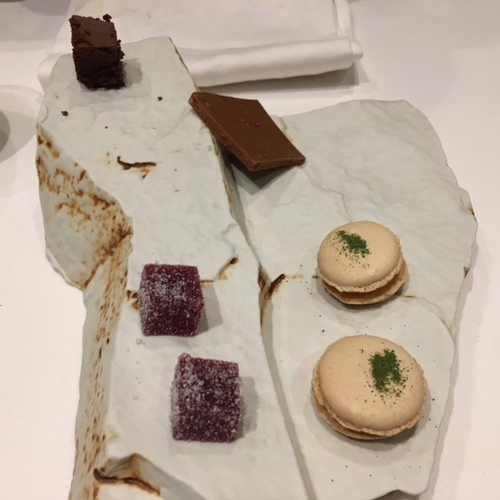 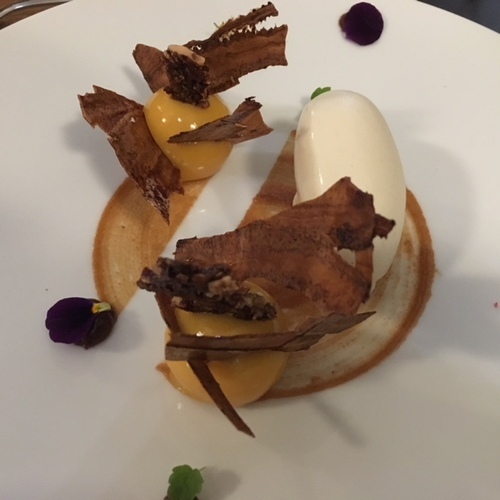 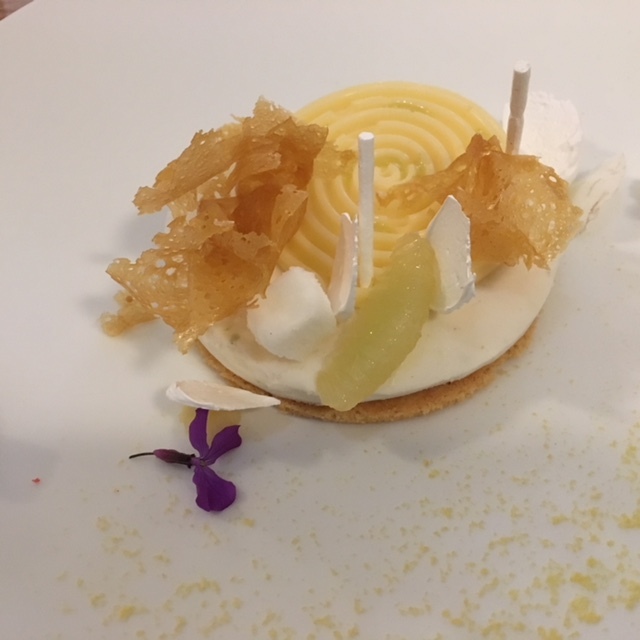 Les desserts sont délicieux comme la soupe et sorbet de pamplemousse ; la glace de banane, gingembre et cacahuète et une tarte au citron meringuée Pilgrim style, dont on pourra néanmoins regretter la couche de glace un rien trop épaisse, écrasant ainsi un peu trop le sablé qui la soutient. 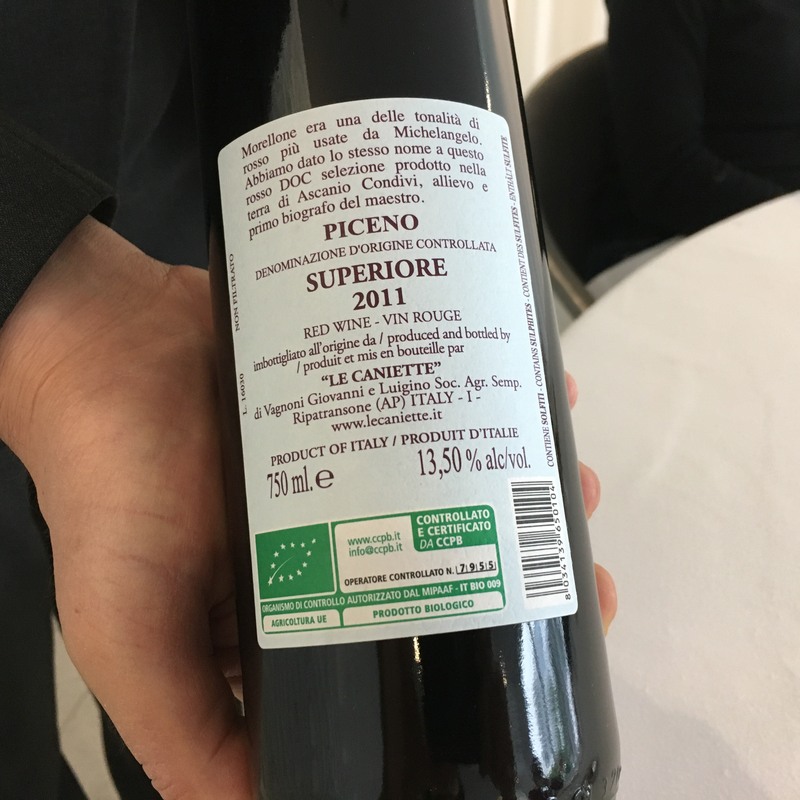 La carte des vins impeccable comme il se doit mais chère, la bouteille la moins chère étant dans les 45 euros. 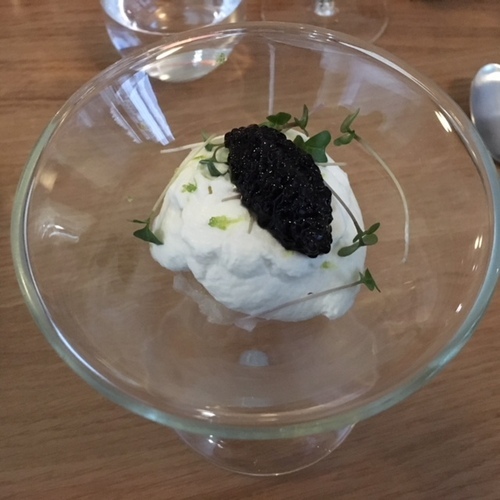 Le service fut un peu tête en l’air lors de notre soirée, notre maître d’hôtel ayant tout simplement oublié de poser notre supplément caviar sur l'émulsion de notre entrée. 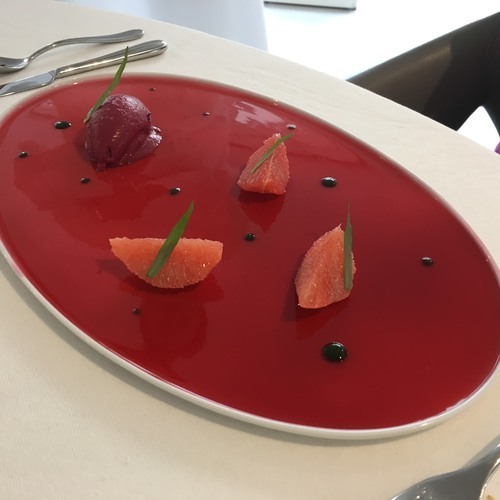 Il est d'ailleurs recommandé de prendre le supplément caviar (10 euros) car le plat aurait été un peu fade sans. 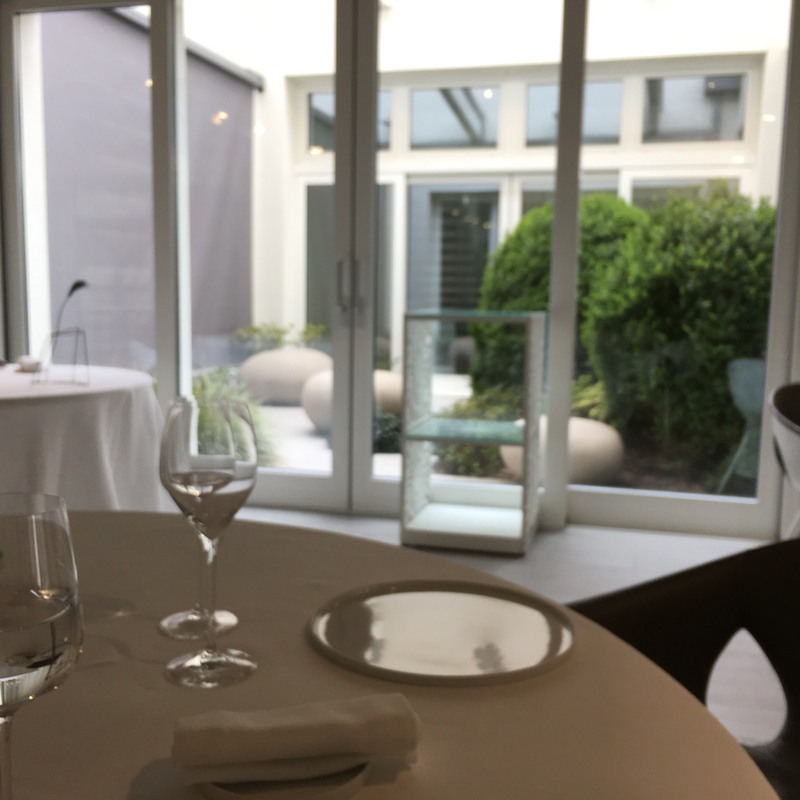 Pilgrim est une très belle adresse, à découvrir très rapidement avant que les réservations ne deviennent un vrai parcours du combattant. 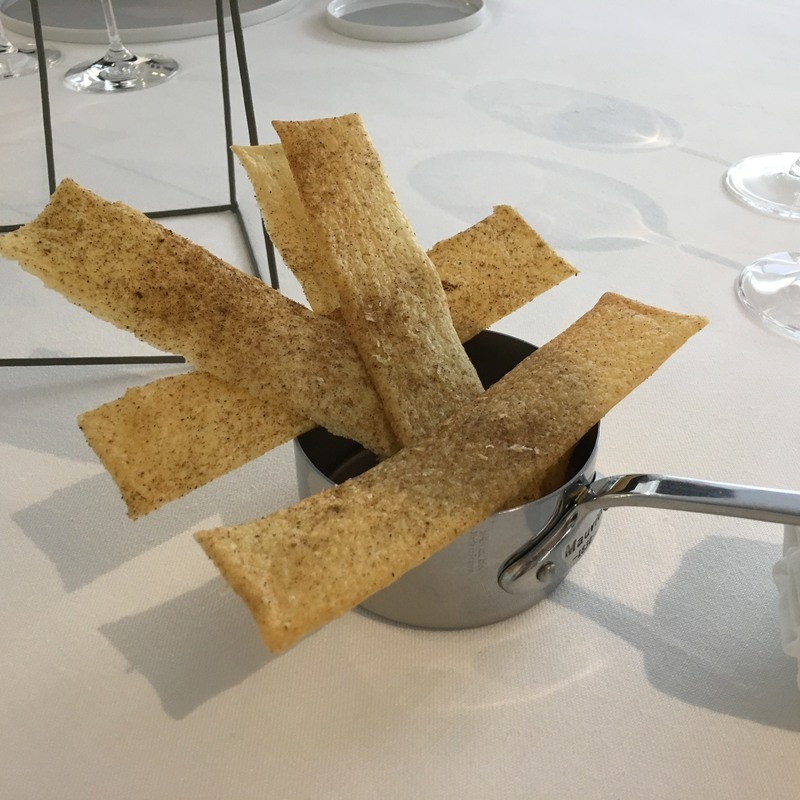 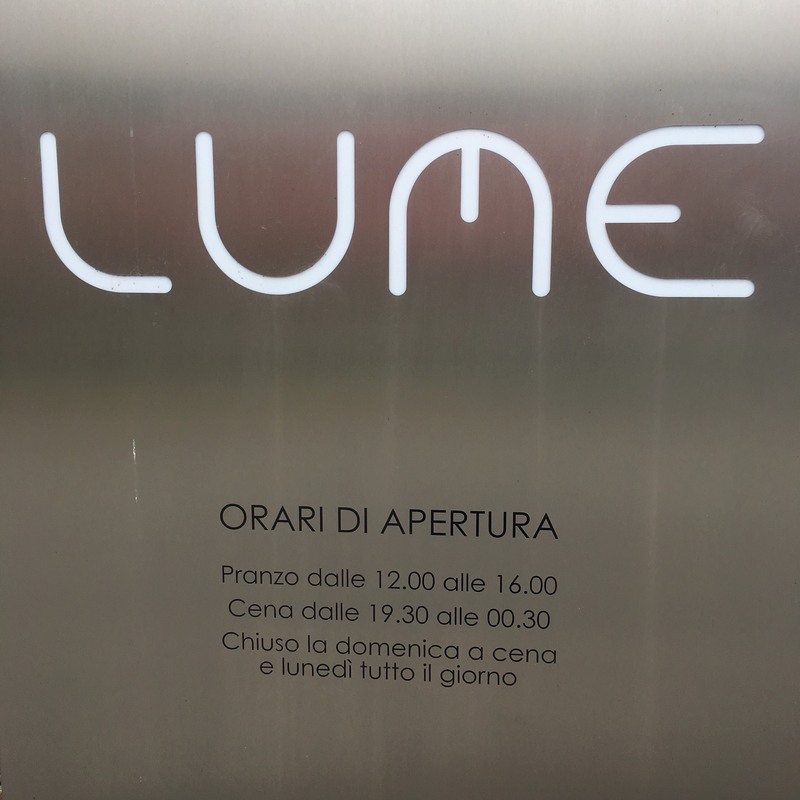 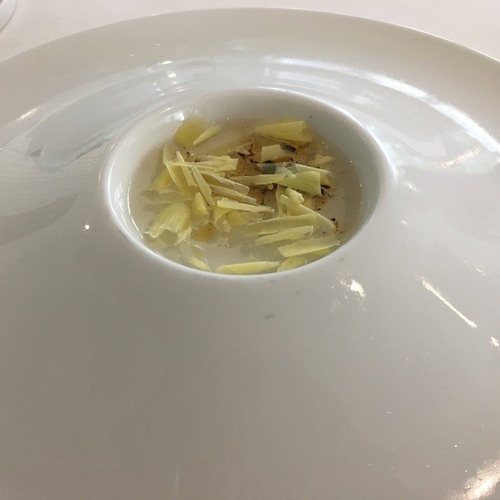 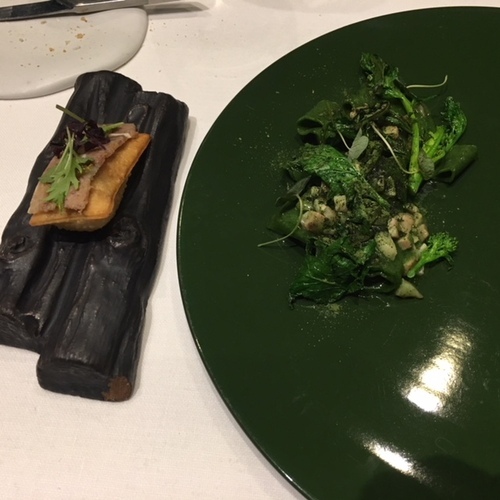 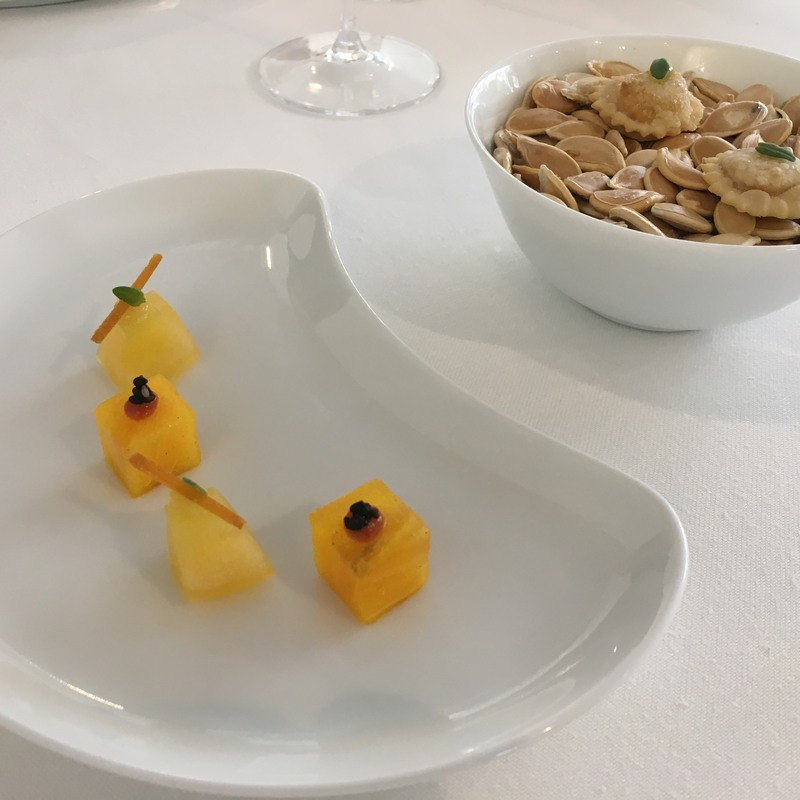 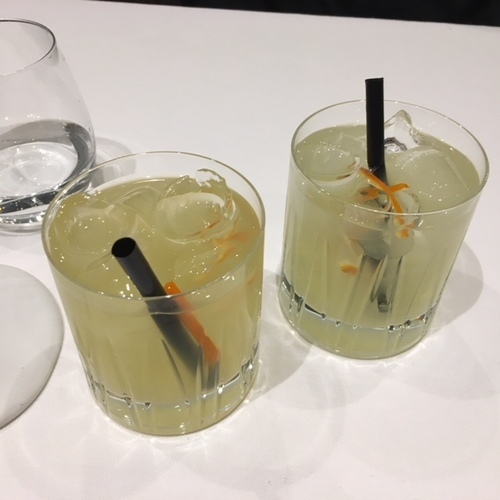 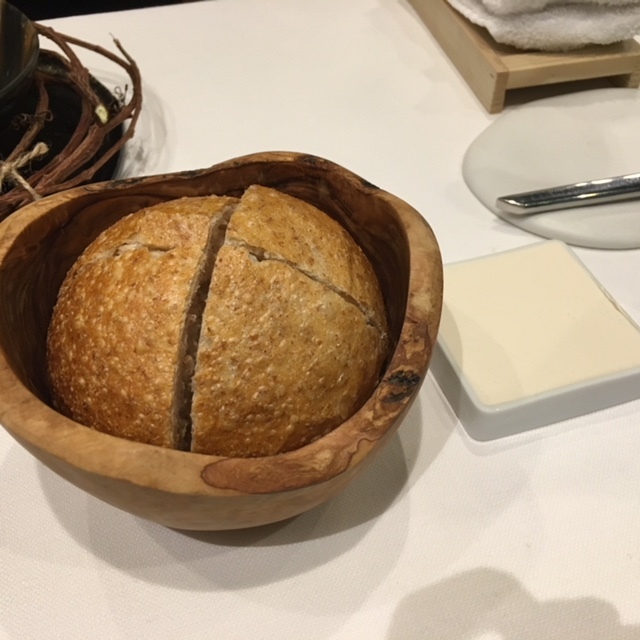 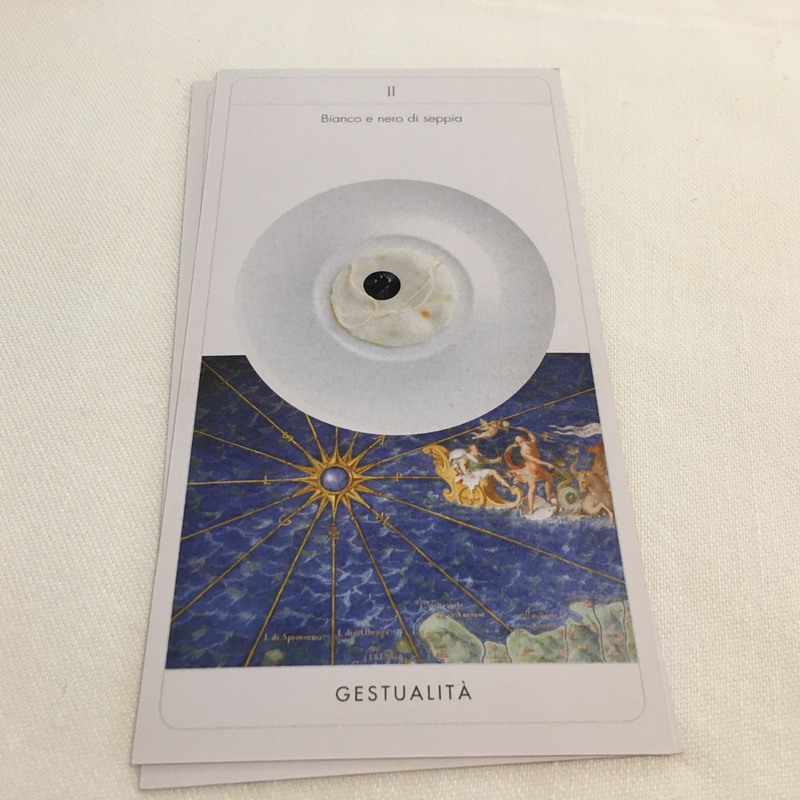 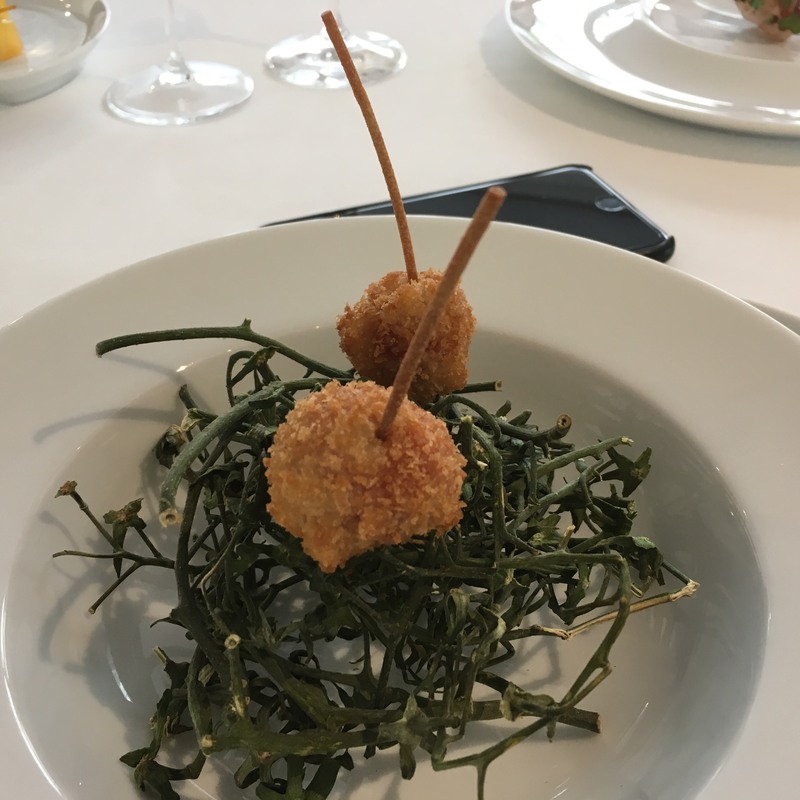 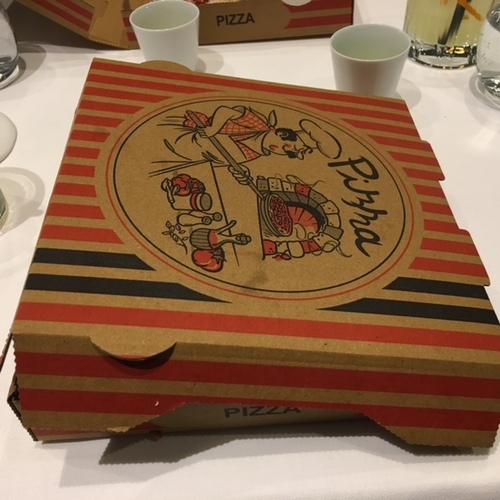 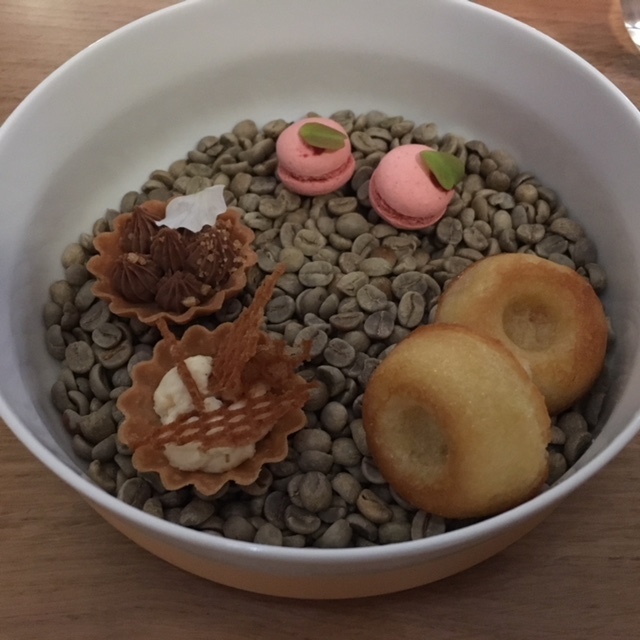 After our wonderful lunch at Lume where tradition meets innovation, we wondered what other restaurant in Milan could possibly offer us something as original and creative? 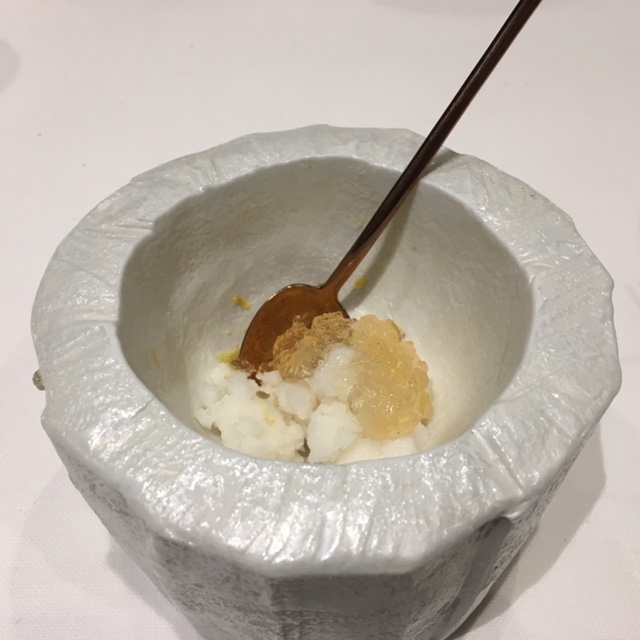 The answer is Tokuyoshi. 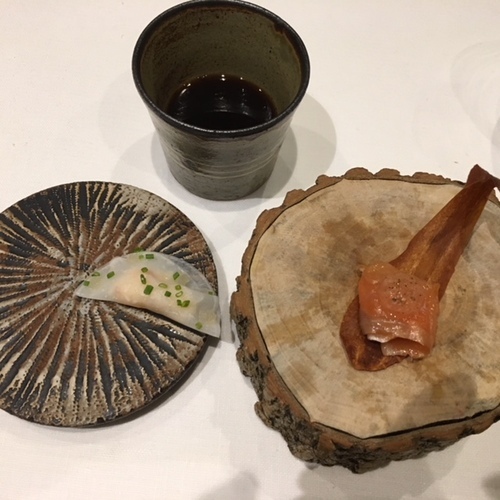 Tokuyoshi is the restaurant of Yoji Tokuyoshi, who came to fame as second to Massimo Bottura at the Osteria Francescana. Most critics credit chef Tokuyoshi with chanelling Massimo Botura's crazy energy and creativity into dishes while he worked at the Osteria Francescana.The rest is history as Osteria Francescana obtained three stars in the Michelin Guide. 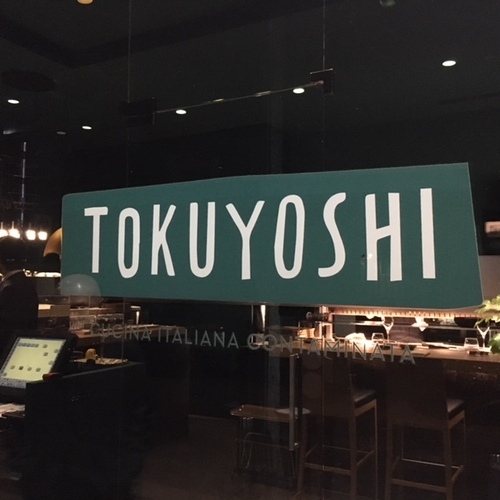 Now on his own, Yoji Tokuyoshi can execute what he calls “Contamined Italian Cuisine” contaminating Italian cuisine with Japanese heritage and his personal experience. 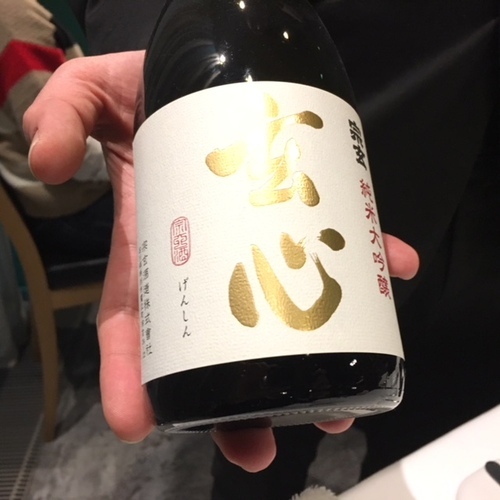 Tokuyoshi project seemed serious – and pretentious, but in fact it was the exact opposite: playful, fun, creative and extremely concise in its conception, realization and presentation. 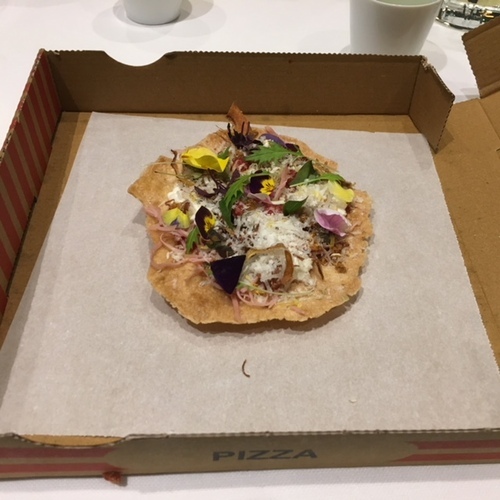 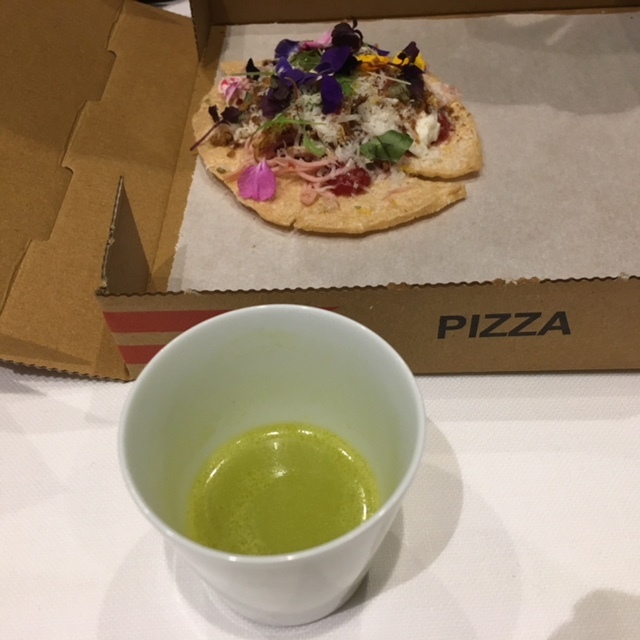 Each dish was thought out like a piece of art, for exemple his version of the Pizza Capricciosa, a pure player as music geeks would say. 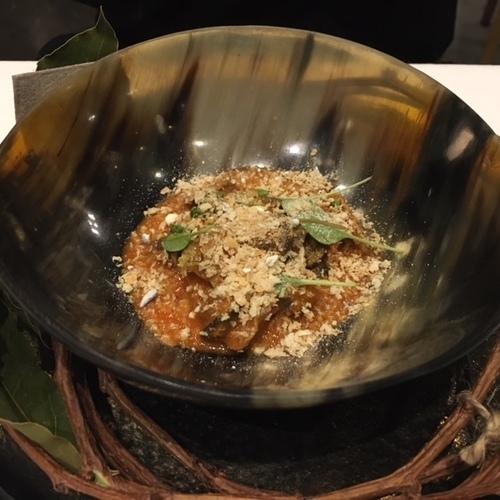 Chef Tokuyoshi accomplished a tour de force with all his dishes by creating a distinctly Italian dish with a touch of Japanese and Asian flavors. 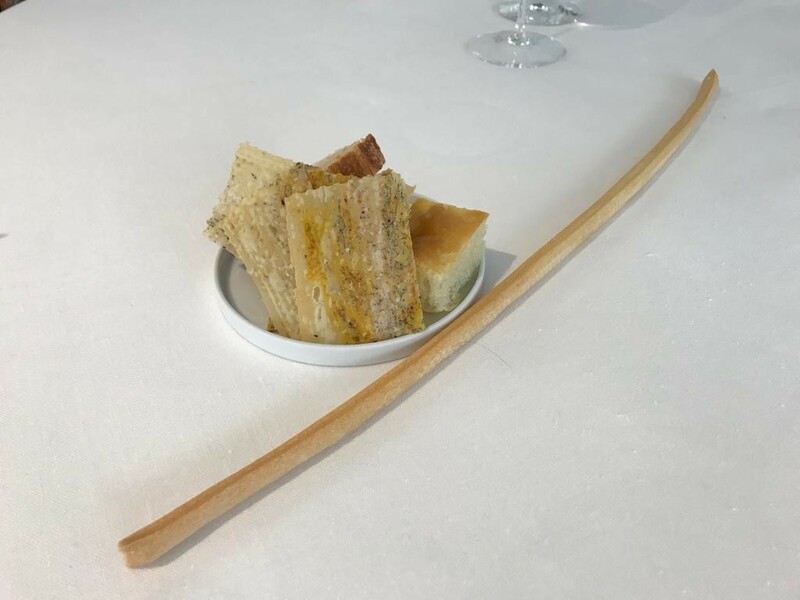 The service had a touch of French and English class. For the wine, the in-house sommelier suggested a wine pairing with our choice of menu, or a selection of infused cold teas. The restaurant also had a vast array of sakes. 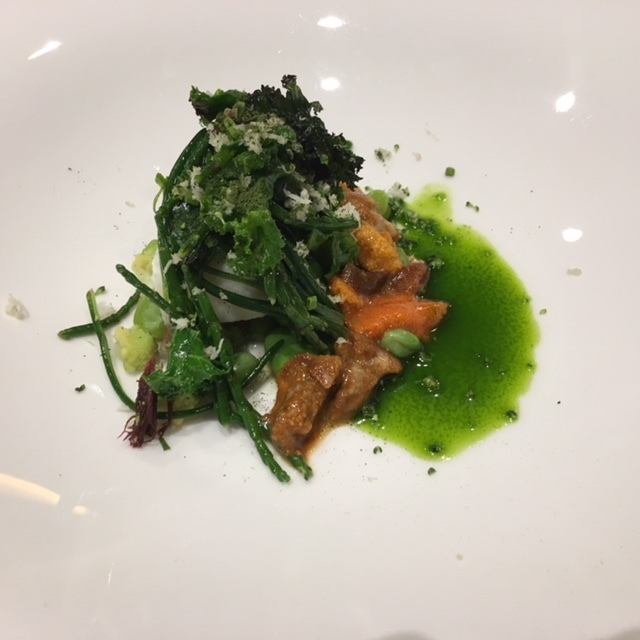 Tokuyoshi and Lume in Milan reconciled us with Italian haute-cuisine. 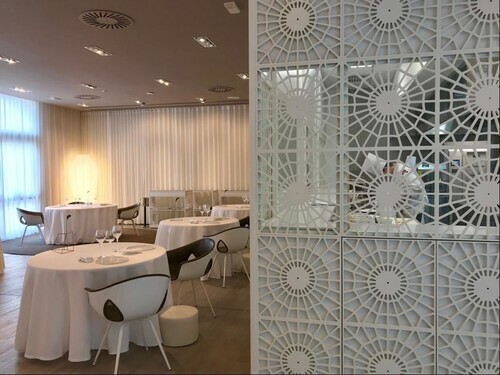 Their cuisines are masterworks that illuminate the city of Milan but also the entire Italian gastronomy. Lume Milano is a luminous restaurant; it’s where executive chef Luigi Taglienti has conceived a series of à la carte and tasting menus that combine tradition and innovation of Italian cuisine. Set in the former Richard Ginori porcelain factory – itself a part of the swish W37 multi-purpose development in Milan’s Naviglio Grande district – Lume makes the mark for its all-white 40-seater dining room designed by Monica Melotti. 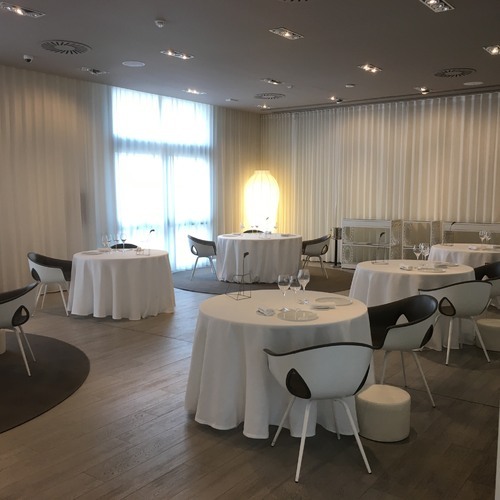 The all-white restaurant is extremely beautiful and the sensation of intimacy is reinforced by the fact that tables are spread out over two rooms and an “al fresco” area (patio). 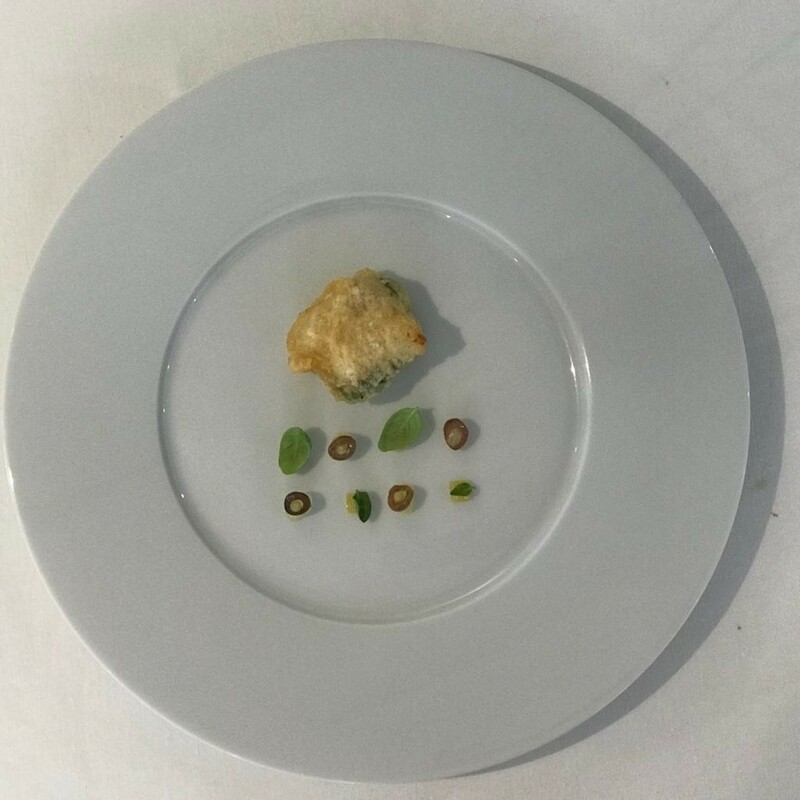 As for his cooking, heritage meets evolution. 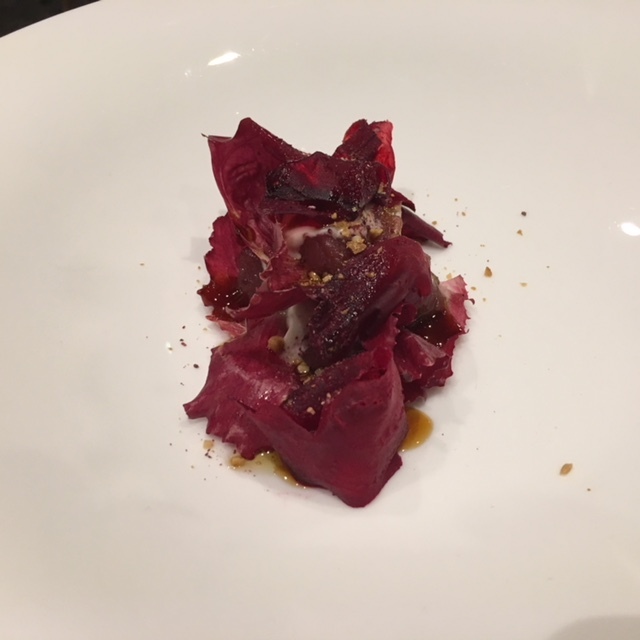 Our party had opted for the “Taglienti Racconta Taglienti” menu. In our opinion, it was the appropriate menu to taste because it was the best expression of chef Taglienti. 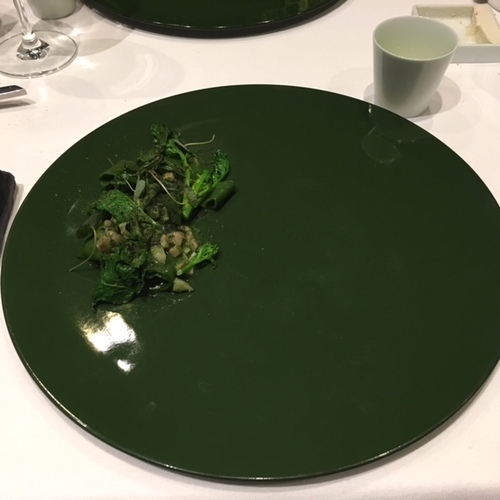 This menu told the story of his life growing up, tasting his family’s cooking and recipes, and his interpretation of the dishes he ate when he was a kid to bring them to 21st century cooking. 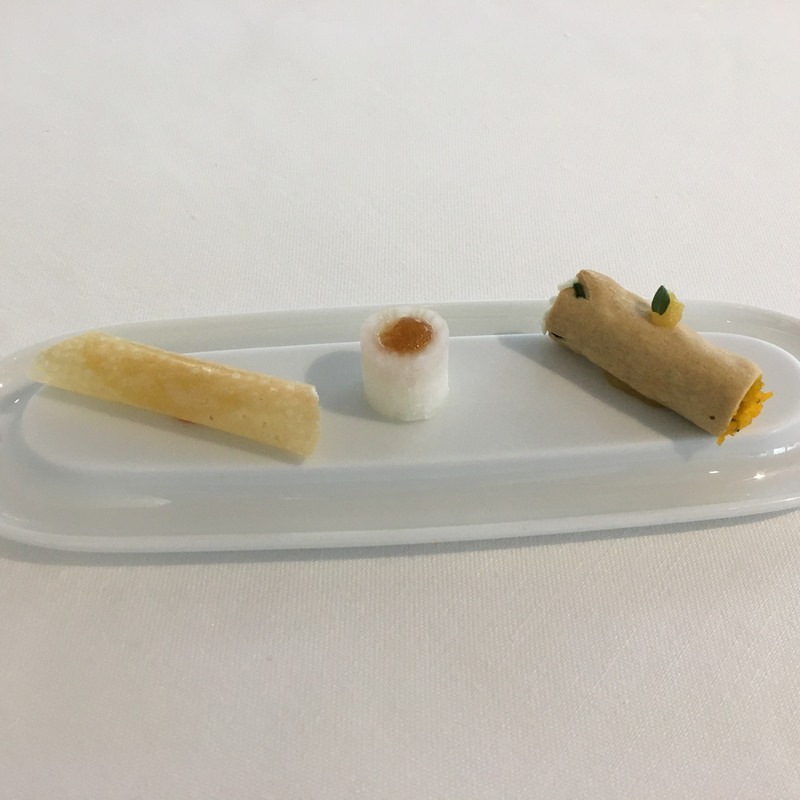 The nine dishes composing the “Taglienti Racconta Taglienti” menu were fabulous, masterly thought out and realized, as one of the friends who were with us put it : the “Thinking Design” of his menu was wonderfully executed. 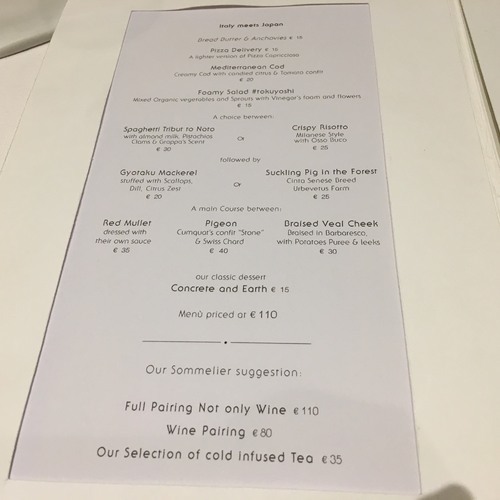 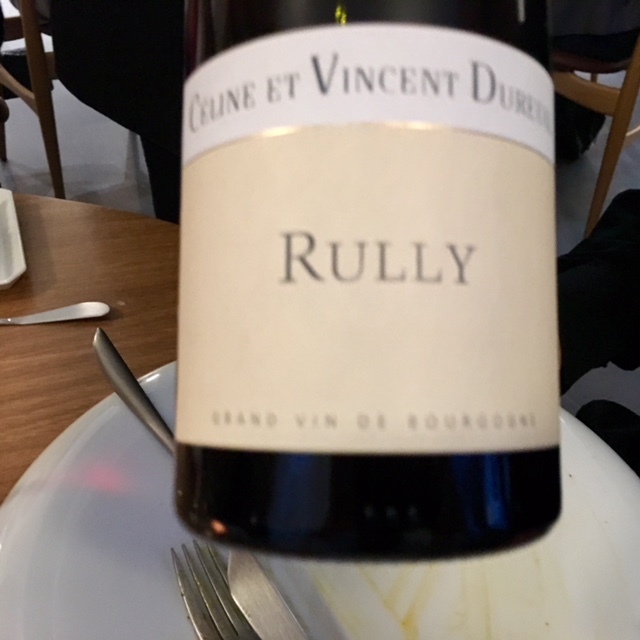 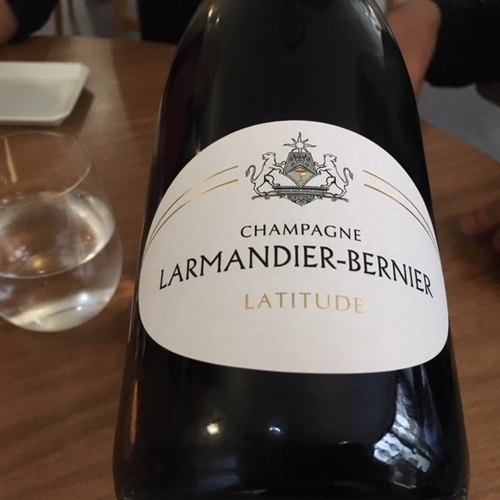 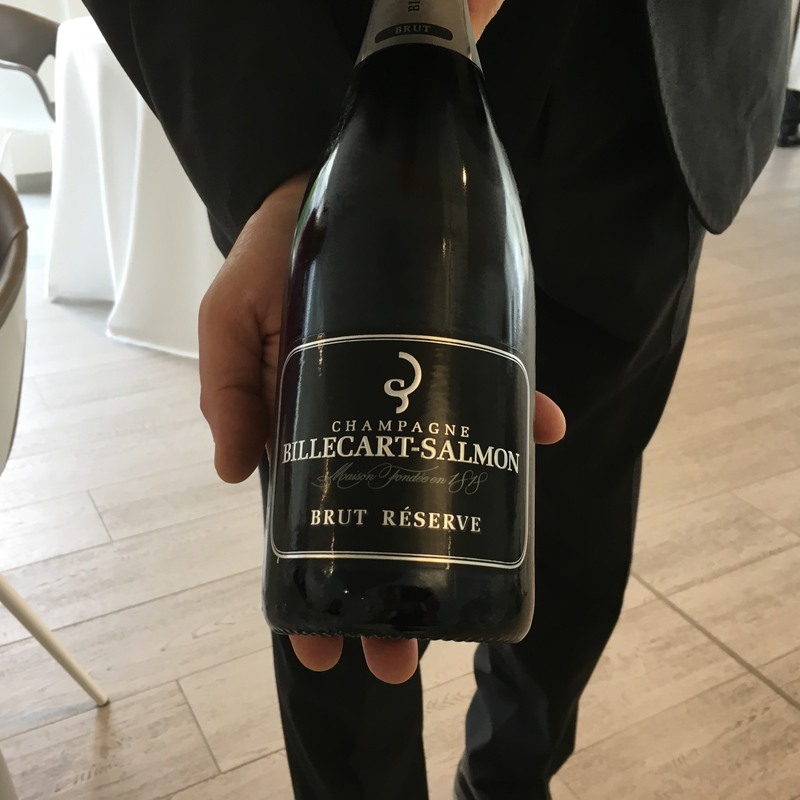 The wine list was fabulous as well -- as it should be in this kind of restaurants -- full of great references like the Billecart-Salmon Brut Réserve champagne and the tag prices were very democratic and affordable, ranging from 35 euros to 650 euros. 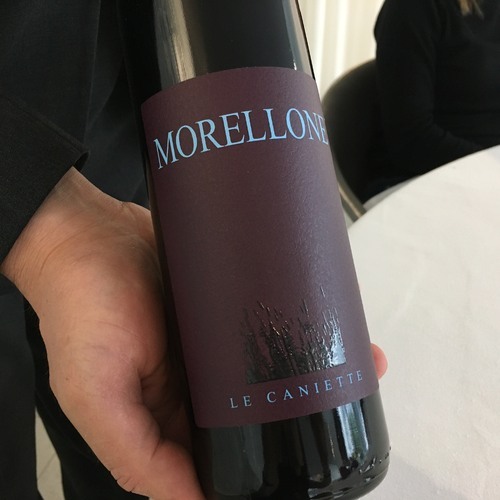 We chose Billecart-Salmon Brut Réserve to start our lunch and then followed with a fabulous organic red from Marche called Le Cantinette Morellone Piceno Superiore 2011 which was incredibly good and smooth, a real find at a great price (only 40 euros). 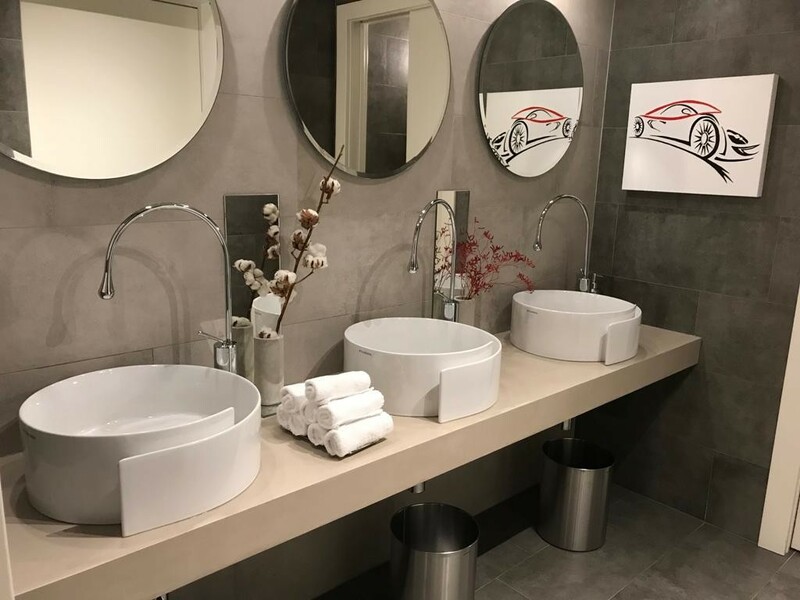 The service was smooth, professional and bilingual. 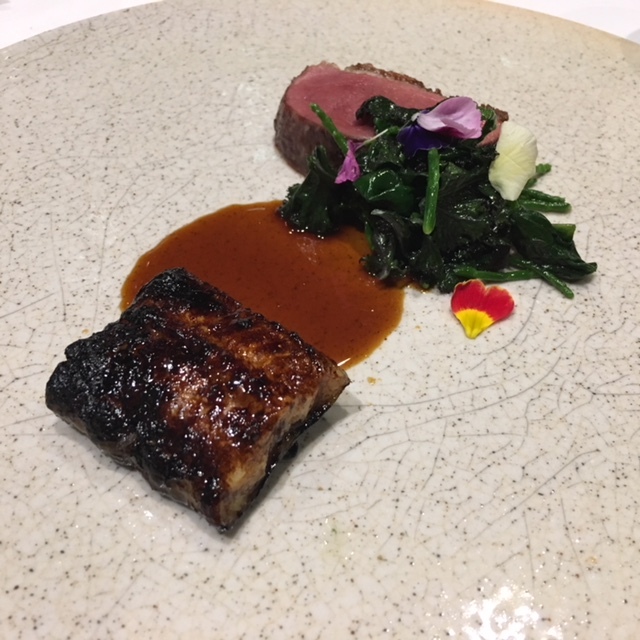 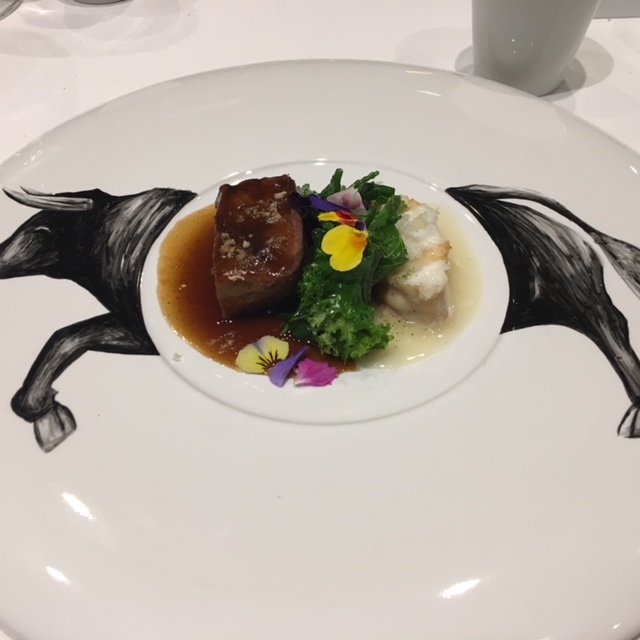 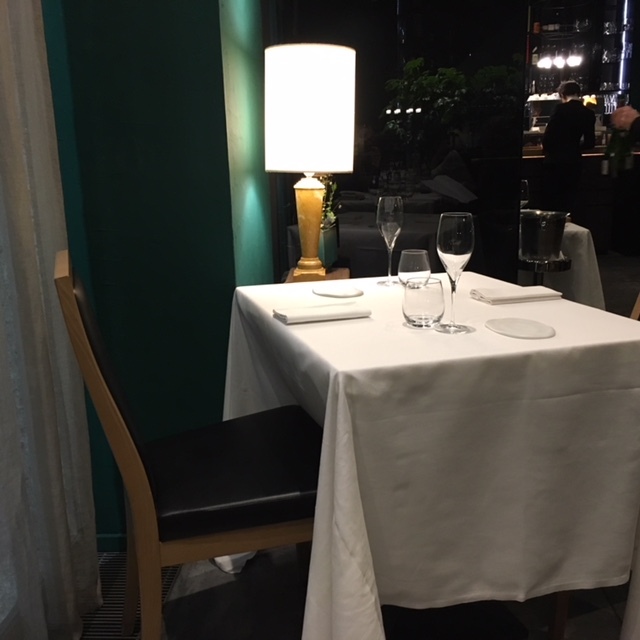 It was our best high-end gastronomy in Italy so far with our dinner at Tokuyoshi. Luigi Taglienti has a great talent and a big personality; it was a big risk for him to accept this project to setup his restaurant in the Milan’s Naviglio Grande district two years ago. 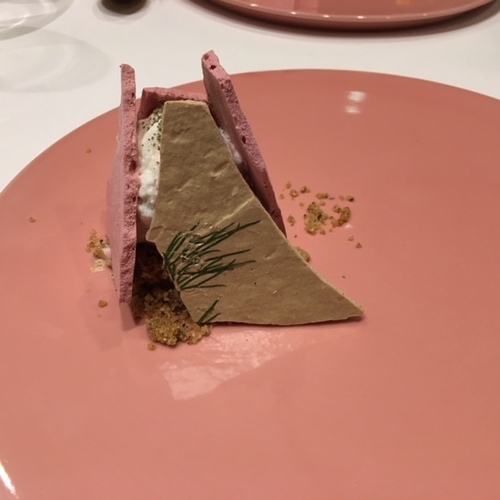 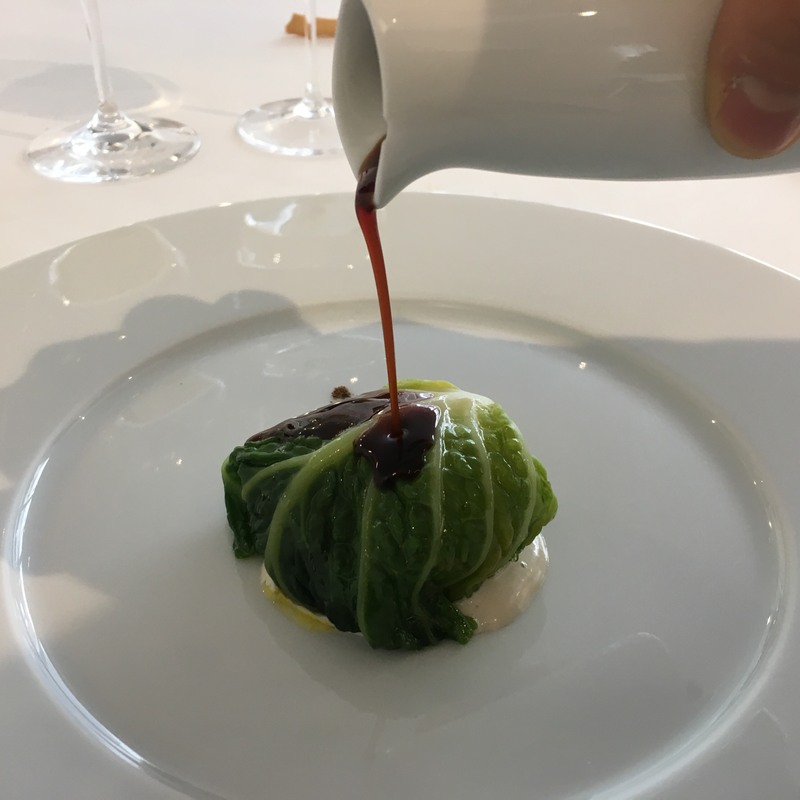 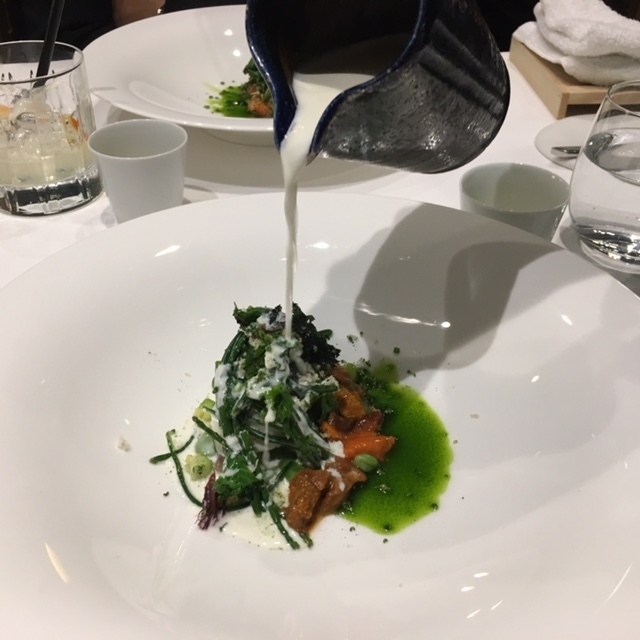 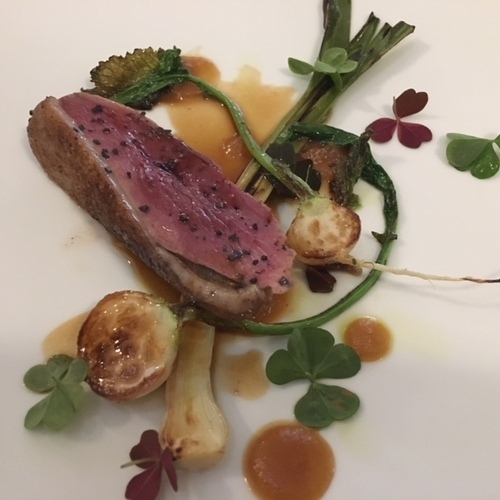 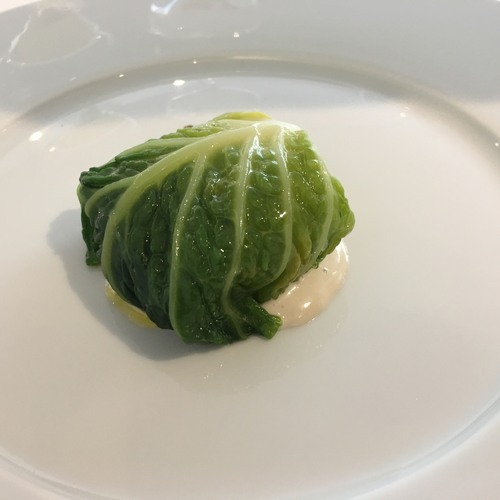 Lume is worth taking a plane to Milan to discover a great chef like Luigi Taglienti, his restaurant has one star in the Michelin Guide, but for us he deserves at least two. 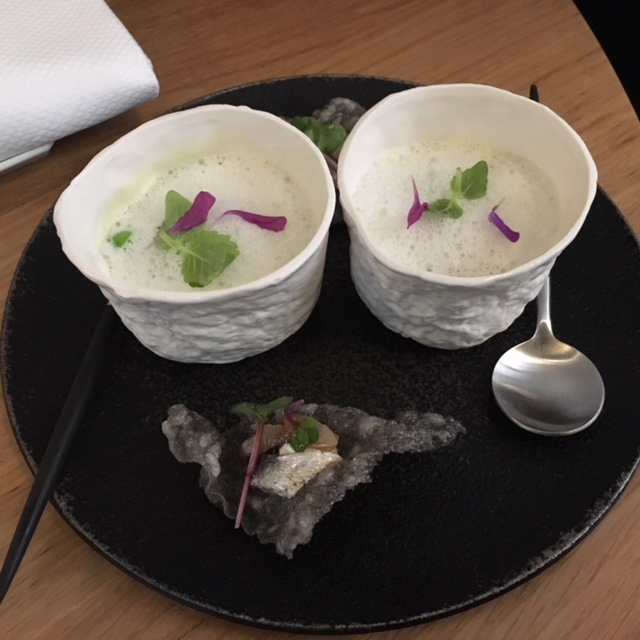 A big bravo to the chef and his team.